One of Mother Nature’s most splendid gifts, the shimmering beauty of pearls is perfectly displayed in each of our wonderful pearl necklaces. Always a welcome addition to an outfit, pearls are ideal to wear anytime and for any occasion. Simple 14k yellow gold single pearl necklace. 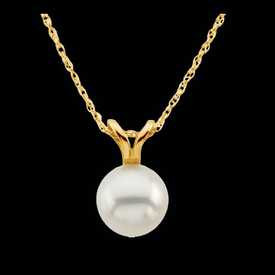 This necklace features a 7mm Akoya pearl on a 14k yellow gold 18 inch chain. A classic simple design pearl necklace. 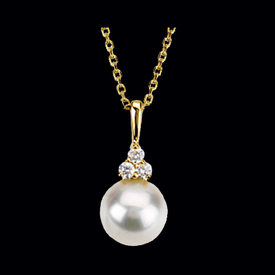 Feminine design 14k gold Pearl and diamond necklace. 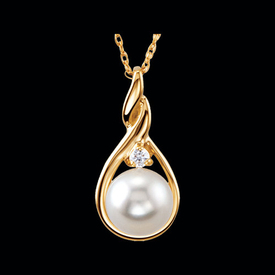 Such a lovely design, gentle twist teardrop is set with a 7mm Akoya cultured pearl and a diamond accent. 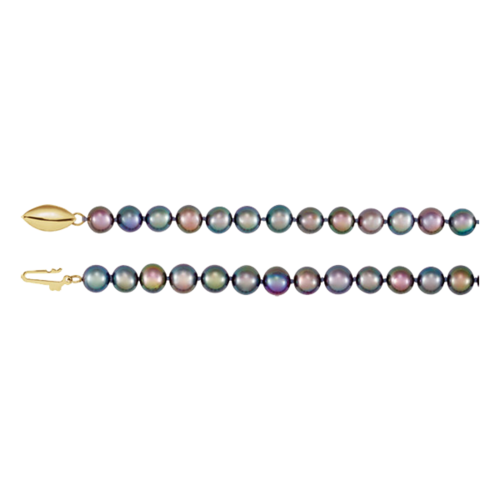 This pearl necklace is 18 inches long. 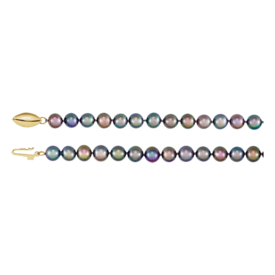 Pretty 14k gold Akoya cultured pearl necklace. A simple yet classic design features a 4mm Akoya pearl center. This necklace measures 18 inches in length. 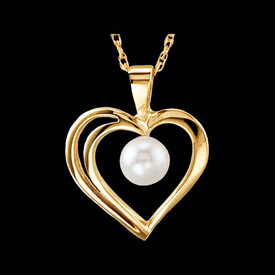 Splendid 14k yellow gold and pearl necklace. A cultured freshwater pearl measures 7.5-8mm round and is accented by .06ct tw diamonds to create this pretty pearl necklace. Necklace measures 18 inches in length, great gift idea. South Sea Pearl and Diamond Necklace. Lovely 14k White gold set with a Paspaley South Sea cultured Pearl that measures 12mm and 1/5ct tw diamonds for the perfect compliment. 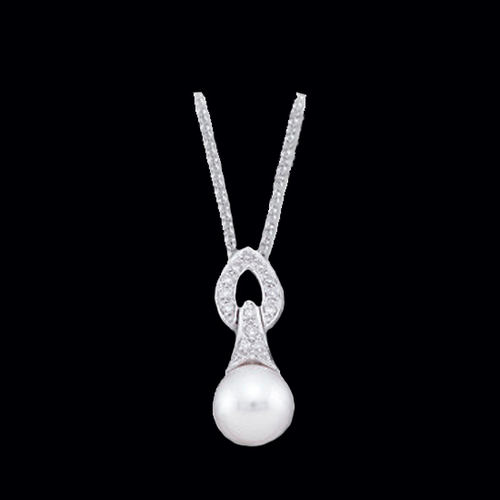 Mabe cultured Pearl and Diamond necklace. Mabe pearl measures 12mm and accent diamonds totaling .02ct tw. Necklace chain is a 1.25mm 14k white gold sparkle singapore chain 18 inches in length. Beautiful Dyed Chocolate cultured pearl rope measures 72 inches in length. 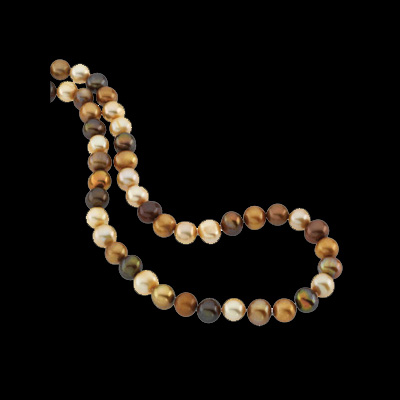 Freshwater cultured chocolate dyed pearls measure 8-9mm, necklace complete without a clasp. Pretty freshwater cultured pearl and diamond necklace. 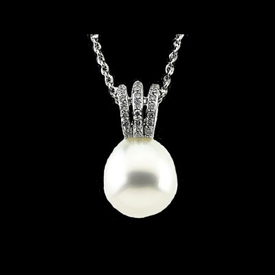 The freshwater cultured pearl measures 8mm in this necklace and accented with 1/10ct tw diamonds. Pearl Three String Necklace with 14K Gold spacers and 14k Gold filigree clasp. 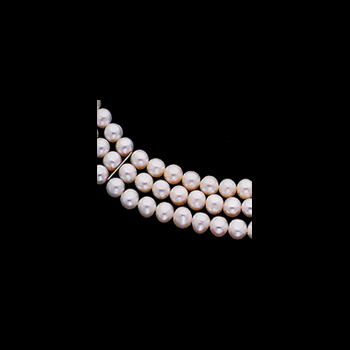 Pearls are 6-6.5mm round. This necklace is 18 inches in length. Panache Black Pearl Necklace. 14k Yellow gold clasp secures this lovely freshwater black semi round cultured pearl necklace strand. This lovely Black Pearl Necklace is available in a variety of lengths. Price shown is for the 16 inch length up to a 24 inch selection. Pearls measure 5.5-6mm in this chain design. 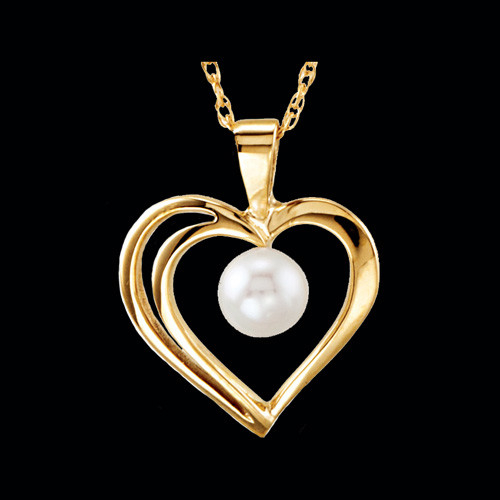 Lovely Pearl Pendant. 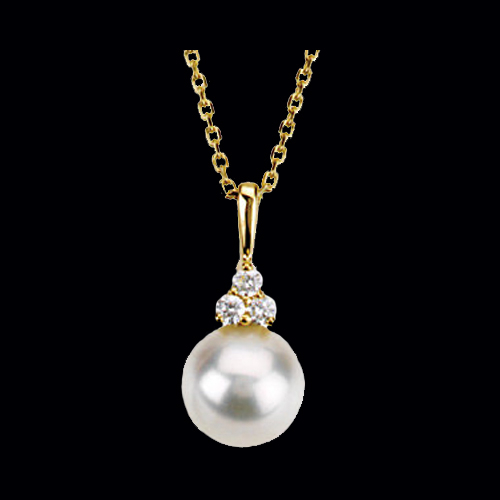 14k Gold pendant holds a 6mm round pearl accented with a .02ct diamond. Great gift idea for weddings or graduation.